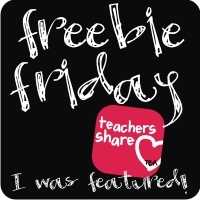 Smarter Balanced Teacher: Tried it Tuesday and a WINNER! Tried it Tuesday and a WINNER! 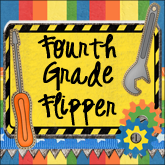 I'm linking up with Holly at Fourth Grade Flipper for her weekly linky Tried it Tuesday. We'll get to that winner part in a minute! Today, I taught my students how to steal! That's right. You heard it. STEALING!!! Surprisingly, when I announced that I was going to teach them how to steal, there were two or three who snickered that they already knew how, and had stolen before (oh my!). I went on to explain that we weren't going to be learning to steal "things", but words. It's a struggle for my little ones to answer questions with a complete sentence, so I taught them to "steal words from the question" to make great answers. This strategy really worked! We underlined words in the questions that we could use. Next, we talked about how to rearrange the words to make them an answer. They caught on really quickly, and wrote possibly the first complete sentences with capitals and ending marks that I've seen all year! Pretty exciting stuff for my little ones! We were working on our Stellaluna questions when the thievery began, and I honestly think they'll remember the strategy because it's so crazy a thought that a teacher would encourage stealing. 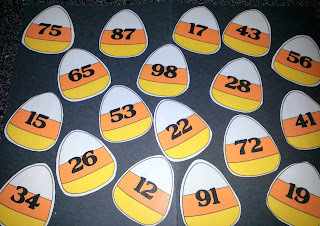 We've also just begun to study place value, so I made a seasonal game to practice tens and ones. You can click on the photo to get a copy for your class. Prep is super easy - print off the candy corn. Laminate if you wish, and print off the recording sheet. 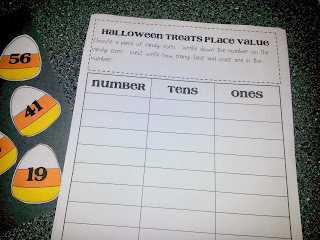 I'll be providing my place value mats along with base ten blocks for my kids to use, because we're still very much in the concrete mode of place value, but depending on your students' needs, you may just be able to set this out at a math station. And now, the Winner is...Christin from Shifting Teacher K-2! She has won amazing prizes from The Bender Bunch, Barrow's Hodgepodge, Ideas by Jivey, Rockin' and Lovin' Learnin', In That Room, and Fourth Grade Flipper. Congratulations, Christin! Congratulations to Christin! I love the idea of STEALING words! What a great lesson! I need to do this with my 5th graders too! Made It on My Truth Monday! Woo-Hoo! It's a Giant Giveaway!